It is the morning of the Rapture. 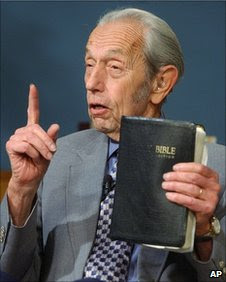 If we are to believe Harold Camping, later on today Jesus Christ will return to earth and all the true believers will be raptured up into heaven. How very exciting for them. According to Harold’s book of rules, I don’t qualify, so I’ll have to stay here with all the other heathens and suffer the giant earthquakes that will eventually lead to the complete and utter destructing of the earth by 21st October 2011. At first glance this sounds a tad inconvenient. Despite previously predicting the rapture in 1994, Harold is quite certain he’s got the date nailed this time. He is completely convinced, he is über sure. There is no doubt in his mind. It is without question. It’s not up for debate. He’s double-checked his sums and it all adds up. The evidence is absolute. The rapture is assured. In Harold’s mind, and many of his followers, this is it, the big one, the end of the world as we know it. But never fear. Harold hasn’t even been proved wrong yet and mainstream Christianity is already dismissing him as just another nut job. He’s just another Stephen Green, Pastor Fred Phelps or Pastor Terry Jones whose literal interpretations of the Bible sit uncomfortably with mainstream Christianity. As freethinking humanists, secularists and atheists we should of course not be judging the nice friendly Christian who lives down the street by the actions of these fundamentalist fruitcakes. There is however one attributes these extremist share with the more acceptable face of Christianity, their unwavering certainty. Harold Camping’s revelation seems all the more ridiculous because it is delivered with a straight face and unwavering certainty. The exact same certainty that many Christians have that their God will provide. The exact same unfounded and un-evidenced certainty that by chance they have been born into the one true faith. So on one side we have a small bunch of ridiculous nutters and on the other we have a deeply respected and revered faith, but surely it must be the same neural processes that can so utterly hoodwink the human brain into such certainty without a shred of credible evidence. Well there's a surprise, its gone 6pm and I haven't seen a single soul being raptured skywards yet. But before we all knock Rev Harold Camping, and I'm sure he's in for a pretty good knocking, lets not forget that his beliefs in heaven and hell aren't really that different from the mainstream Christian views. Organised religion has just learnt that there's less chance of looking like a bunch of pillocks if you don't actually name any specific dates, keep it vague, avoid easy testable or falsifiable claims, and you can can keep them believing. On the issue of certainty, do you agree that as a skeptic the only truly reasonable faith position is agnosticism rather than atheism? Isn't certainty in the non-existence of god and the irrationality of christian beliefs a faith position itself, and it's better to say rather than 'God does not exist' that 'The current balance of evidence does not support the existence of god, and therefore on that basis I am currently agnostic'? Just wondered what you think. A good skeptic can be an atheist in the sense that I won't believe in a god until I see evidence. Currently, I see no reason to suspect any deity exists. You can also interpret atheism as 'no god' or 'without god' in the sense that you choose to live your life without a god (or gods). Even if the god of the Bible does exist, I don't want anything to do with him as he's a nasty piece of work. As a skeptic then I would be prepared to change my mind in the light of any new reliable evidence. In terms of faith, I certainly cannot say with certainty that there is no god. This would technically make me an “agnostic”, but I dislike the label as its uncertainty suggests that either option is equally probable. On the balance of probability it seems to me far more likely that there is not a god, so rather than use a label that would lead many to suppose I am 50% certain of the existence or non existence of god, I prefer to round up to "Atheist" even though I'm just shy of requisite 100% certainty. First attested in 1870; coined by Thomas Huxley. Either from Ancient Greek (agnōstos, “ignorant, not knowing”) or from a- + Gnostic. Deriving (either way) from Ancient Greek (a-, “not”) + (gignōskō, “I know”). One who does not have a belief in the existence of God, god, Gods or gods. While common usage may differ, the word Agnostic actually means not having knowledge of God, while Atheist means not having belief in God. Therefore I would subscribe to the statement "The current balance of evidence does not support belief in the existence of god, and therefore on that basis I am atheist". When someone accuses someone of a crime, you have a jury. That jury does not say beforehand, we don't know if he is innocent or guilty, so let's say we're currently agnostic about his guilt - it's like 50/50. The rule is: assume he is innocent until proven guilty. After the trial, there was a whole load of evidence which supported the position that he was not guilty, and all the claims that he was guilty were hearsay, factually incorrect, nonsense and sadly there was a lot of jury intimidating with threats and bribes (and sadly a good many jurors were take in by that - they had to be dismissed). So ultimately he was found not guilty. Strictly, shouldn't we say we still can't be 100% sure? Shouldn't we vote "not proven yet" rather than "not guilty"? I say claims should be considered false until proven true beyond reasonable doubt. No. I'm not sure of the validity of your legal metaphor, but let's run with it. Criminals are convicted on evidence beyond reasonable doubt. That does not mean 100% sure (0% doubt), it means beyond reasonable doubt. In scientific matters, taken to be expert evidence in criminal trials, beyond reasonable doubt is taken when the probability that the conclusion is false is less than 5% - so we convict when we are 95% sure. That is the definition of beyond reasonable doubt. If you're looking for theists to be prove the existence of a God beyond reasonable doubt, to less than 5% doubt, then IMO it has a long way to go and its position gets worse with every scientific discovery, and debate on moral philosophy. Indeed, if science is called upon to prove that it can explain the universe without a God, beyond reasonable doubt, then IMO it has done so to way more than 95%. I'm a skeptic, so it's not 100%, but I'm satisfied to a very high degree indeed. Case closed as far as this juror is concerned. Just to add that the metaphysical claims of theism are not admissible to the jury of life. Because they say you must believe them, that doubt is bad and belief without evidence is good. Because they attempt to nobble jurors in that way with their threats and bribes. Because they undermine the principles of a fair trial. Of course the evidence doesn't stand up either, but it's worse than that - the claims themselves are "juryistically incorrect" and need to be rejected for that reason. Such ideas care only that you believe them and not that they are true - unlike every discovery we've ever made. I can't look to theists to prove theism beyond reasonable doubt, since theism (faith) undermines doubt itself (and hence the need for proof). In terms of validity of the metaphor, or perhaps its utility, I've never met a theist who does not agree with juryistic principles when applied to something as trivial as a criminal trial, so let them consider and then explain why we should abandon these principles when it comes to much more important and serious matters like life, the universe and everything. It's a nice piece of cognitive dissonance for them. The important question is: are you a juryist or not? Do you think it is moral to believe ideas or not, and should ideas to be considered false until proven true or not? Should ideas that undermine and threaten the jury be accepted or not? Are you trying to discover knowledge or just believe things? It's a more telling question than the one about atheist or agnostic. Both the words atheist and agnostic are tricky. Their earliest definitions barely reflect modern usage and their modern definitions are confused. Also, they're both often defined in terms of relationship to god/s which rather misses the point. I'm not an unbeliever, I'm one who tries not to believe. I prefer "not superstitious". The word's earliest definitions sit well with me although it was used by people that probably believed in god/s. Its more modern definition fits quite well as an antonym of sceptical both being based around credulity. @Anon: Skepticism is not a faith position. I am absolutely certain that I will never have rational evidence to support my faith. By definition (look it up) faith is not rational, and it cannot be supported in that way. I could choose to reject all religion on this basis, except that my faith has some value to me so I try to keep it (and some days it is hard). Any degree of faith I maintain is just that: faith. It's 6.20am on the 22nd here. Still no earthquakes, tornadoes, whatever. No news reports of xians being sucked up to heaven, either... quelle surprise. @Anon: The word Agnostic is not old. It was coined in 1869 by Thomas Henry Huxley to describe his lack of knowledge on the question of God's existence. He was certainly not a believer, (he was Darwin's famous Bulldog) and could accurately be described as both Atheist and Agnostic in that he claimed neither knowledge nor belief in God. Monicks: "I don't know what is going on"
Describing a whole person as agnostic is a problematic shorthand for the same reason that talking about "gods" is unfortunate. It leaves vast fields of room for misunderstanding. If I'm called "agnostic", it can be expected that I'm agnostic about X and agnostic about Y, as those are the common things to be agnostic about. But then there's X1 and X2 and even X3, and nobody is quite sure of what they want to say with "Y". Show me a man in red and blue who saves people by lifting cars and leaping tall buildings, and calling him Mr. Kent or the Man of Steel is a trifling issue. Saying that he is actually mostly metal, however, could still well be lunacy. The argument come down to this: you either think the world operates on logical, rational, precicable rules (however odd they maybe at a quantum level) or you don't. If you think that aircraft fly, computers work, all of our technology, but some times God waves a hand and the rules change (statues cry blood, the face of jesus appears in a toasted cheese sandwich, etc)then you are delisional and hypoctical. @Billysugger Good 10 seconds work on wikipedia there. Reread my post, wikipedia and apply thought. It's humorously ironic that you point out the Huxley defined the word and then say that he certainly wasn't a believer. 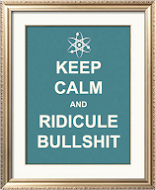 @RobbyT Most rational religious types (excuse the oxymoron) don't believe in the phenomena your describe. A world that follows rational rules does not preclude god/s not it's creation by god/s. So what are they praying for if not direct intervention, a suspension of the rules in their case? All on a spectrum is irrationality. @RobbyT They're praying because Jesus told them to. Prayer is unselfish, it's about others or about dedication to god. St.Augustine's "Confessions" is a fascinating read from a biographical and historical perspective as well as in providing an insight into 'intelligent' religious belief. Or for a shorter, more humorous read, try C.S. Lewis' "The Screwtape Letters".